What an exciting month for our team! 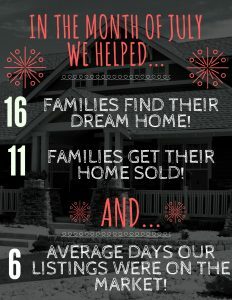 We have had the pleasure to help so many families reach their real estate goals in the month of July. We look forward to helping many more of our great clients in the months to come!